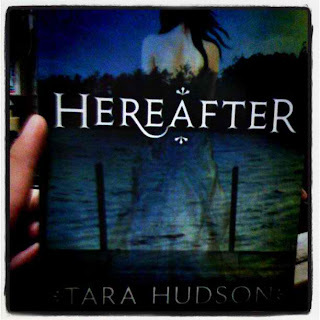 I finished Hereafter by Tara Hudson a few days ago and I must say that I loved this as much as I loved the last few books that I’ve read this past few weeks. I was actually a bit hesitant at first since this book had mixed reviews on Goodreads. The story’s protagonists are Amelia and Joshua. To start with, the story is really good. The concept is refreshing for me as this is only my second Ghost YA book. To be honest, I thought I was getting bored within the first few pages and I didn’t even realize that I was already half way done after a few hours. It’s the type of book that would seem boring at first but as I got deepr into the story I found myself immersed in it completely. First of all, I loved Amelia from the very first page. I think she is one of those very well written characters. Though I did find her character a little bit “dry” at first but Ms. Hudson developed her well as the story progressed. There were moments when I wanted to give her a hug since almost everyone around her seems to have a hidden agenda or something. I actually liked the fact that she decided to fight for what she believes is right in the end. Anyhoo, she’s one of those heroines that would hopefully turn for the better and not the worst like most heroines in some YA novels. Then there’s Joshua. I don’t know what it is with dark haired boys and their blue eyes. haha. I love Joshua. The fact that he’s not a jerk even if he is one of those “IT BOYS” in school is something that I definitely liked about his character. I love the fact that he loves Amelia even though their love seems to be doomed in the end since everyone seems to be against their relationship. I guess we’ll just have to wait and see, right? Overall, I loved this book and I can’t wait to read Arise. I’d definitely recommend this to those who are into sappy tragic romance stories. But I am warning you this is not a scary ghost story per se. The pacing was okay for me. I can’t really explain it but it seems slow at the beginning but as the story builds up I found myself completely captivated by it. I’m giving this a 4.5/5 rating.